When Rubin “Hurricane” Carter was released from prison in 1976 after being wrongly convicted of murder, New Jersey prosecutors weren’t happy and brought in a heavyweight – the FBI – in hopes of dragging Carter back to jail, CNN reports. Newly released documents show that Passaic County officials wanted feds to help get Carter back behind bars for allegedly beating a female friend. And although the FBI is typically busy with racketeering, corruption and other federal crimes, agents joined the case just two months after the former middleweight was released from prison because of his conviction for killing three people in a New Jersey bar was reversed. A long-time friend of Carter’s isn’t surprised. The documents were released after Carter died in April. Carter was never charged in the alleged attack, but he was wrongfully convicted twice for the murders before being released for good in 1985. Posted: 6/9/14 at 9:00 AM under News Story. It really is annoying when articles and inaccurate statements like this are made. Rubin Carter Wrongly Convicted?? Hardly. Sloppy Journalism continues this fallacy. 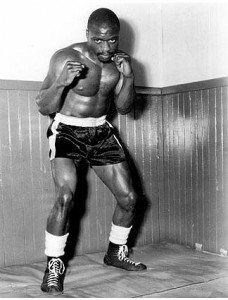 Rubin Carter is falsely portrayed as a victim of racism in his fabricated book and film Hurricane by the creation of a fictitious N.J. Detective who is portrayed as a vicious racist. It never happened. Rubin Carter is a two time convicted murderer, convicted batterer, attempted murderer, and dishonorably discharged from the U.S. Army for committing felonies. His boxing record was only 7 + 7 in his last year, hardly a champion. He was never found innocent of murder. Very important. Never found innocent. After the 2nd conviction for murder (by a mixed race jury and prosecution), and his arrest for beating an assistant half to death, celebrities Bob Dylan and Mohammad Ali dropped him like a hot potato, never mentioning him again. A sloppy and extremely liberal Federal judge decided on his own to release this monster on society after almost 30 years of well deserved prison- on a mere technicality. Not for being innocent of murders. He is still recorded as a murderer. His record was not expunged! Carter had everything to win by lying and he did it well. The film Hurricane, based on Carter’s own book of lies, wrongly shows none of these facts. Victims of Rubin Carter, still alive today sued Universal pictures and now a screen notice admits that the film is only “based” on his story and not factual. Many African Americans feel that this is all about racism, especially if they read Carter’s racist book and see the outrageous and stirring lies in this movie. In fact, the juries and trials were mixed race. We all should look at the facts, they are right there. The facts of this case and the facts about the real murderer Rubin Carter are at http://www.graphicwitness.com/carter This site was set up by the actual court reporters who covered the trial in the courtroom. Rubin Carter has made a living in a disturbing world of hypocrisy by having disingenuous seminars and book signing talks. He continued to bamboozle editors with his inaccurate press releases. He is actually a man who stood over a pleading grandmother and pumped her with shotgun shells then turned on others until the bullets ran out- killing three.